Recently I attended an annual awards party for local road bike racing in Colorado; dinner was served before presentations and honors were awarded. Across the table from me sat four young, very talented, bike racers who had raced in the Juniors 17-18 year-old category for the past year. For them it was far more than a year, it had been years of racing and friendships formed by being on the same bike team. Even at their young age, I could tell their identity as bike racers had been forged. "What is next for you?" I asked with true interest. "Not sure, we will try to stay involved." Theirs seems a fragile age of talent on the brink of waste. If they want more, these young men must be both judged and proven good enough to follow a selective path to national and international development. In addition they must completely devote themselves - and thereby their families - to the job of becoming a pro rider. A job which entails mandatory team contracts year after year, sacrifice, discipline and focus. Their other possibility is heading to university, where few (but some) schools offer collegiate cycling teams. Only twenty-one colleges sustain official cycling teams across our nation. The remaining young riders have the option to compete in local bike races against grown men who have two or three $10,000 bikes each with excess money for gadgets and personal coaches. Their youthful identity and potential shelved through college, career building and a growing family, they wait to pounce on their big identity comeback as a local amateur hero, consuming their family weekends and holidays to attend bike races. For some, this is enough, but for others, life begins or is altered at age 17. How many of us want to be judged at age seventeen? How many of us were that solid at such a young age that talent, awareness, determination, tough mind, tougher body, money, support, means, guidance, opportunity and a good coach all aligned to make dreams happen? That is why continuing support of age 17 to 23 (U23, under age 23) programs are critical in the formation of a good racer. I have a dear friend who - although he came from impeccable cycling genes - did not begin bike racing until age 24. Within a few stellar years he earned his place on an American Continental team. Although his ability is impressively strong, the sacrifices he has made for his love of bike racing are both scary and admirable. Not every young bike racer is so lucky or so daring. The organizational structure of cycling in America is critical in building a strong foundation for the sport for all ages, but for the rider age 17 to 23 - sponsorship, anti-doping, good equipment, proper physical training, respectful coaching, team unity and recognition of hard work is vital. So much must fall in place for the potential of an athlete to be realized. I think running might be a much easier sport to pursue. Cycling is not easy: it is not consistently available throughout our nation and it receives little overall attention, with less money. Yet I couldn't help but watch the 2014 Tour de France in admiration and wonder "Who is in charge of junior/U-23 development in France (and Belgium), because they appear to be doing a lot of things right?" No matter the nationality - young fresh talent might just save this sport in crisis. This is a long list of organizations, we can be quick tp realize this much bureaucracy teeters on really good people doing a really good job, or bad people doing a lousy job and messing it all up. Sadly, sport can shred the potential in good individuals through poor administration. In 2013, leadership at the top level of UCI changed hands to British citizen Brian Cookson (Cookson presents re-worked cycling reforms to race organisers By CyclingNews). Improvements to the organization have been quick, slow, controversial and ongoing; so much more needs to be done. Major personnel changes also took place at USA Cycling in 2014, even more changes can be expected there through 2015. Changes are needed all around to manage growth in the lower ranks and recession in the upper ranks, plus dismal reputation of the sport. Update 12/16/14: The highly respected voice of America sport - Juliet Macur - has written an honest article about Steve Johnson finally departing USA Cycling. Executive’s Ride Into Sunset Signals Brighter Day for U.S.A. Cycling, By Juliet Macur for The New York Times. Tremendous growth in bike racing was realized over the past five years in both the upper age-ranges (35+ to 55+) and the junior programs. Youthful discovery in sport often takes a planned course through junior development to pro level racing, but there is no one way to achieve success in cycling. Much of it has to do with getting that lucky break or getting along with people. And spending a lot of time racing in the saddle. By the time a Junior/U23 makes it through selection and development, there are not too many team options available to him (and less to her). It is also known that with the restructuring of the UCI into 2016, there will be even fewer WorldTour Pro Teams. Below is a list of Pro Teams, some are in the process of reorganization, signing riders, and applying for licensing (exact team structure and sponsorship for 2015 is not fully known at this time). Every state in the United States but Oregon, South Dakota, North Dakota, Hawaii, and Alaska (and Wyoming I was just informed) have state cycling associations associated with USA Cycling? Oregon operates its own independent Oregon Bicycle Racing Association (OBRA). Over 76,000 citizens hold USA Cycling racing licenses. Tejay van Garderen, Timmy Duggan, Danny Summerhill, Ted King, Michael Creed, Danny Pate, Nate Brown, Kiel Reijnen, Chris Butler, Ryan Eastman, Taylor Phinney and many more top level pro cyclists started in junior clubs or through USA Cycling U-23 programs. If your child is interested in getting into the sport of cycling - USA Cycling offers this Athlete Development Pathway guide. If your child is a girl - start lobbying now for equal pay in cycling. If your child is interested in running - buy him or her a good pair of running shoes, open the front door, and go for a run together. Here is a photo I took in 2011 of local Colorado junior wonder Gage Hecht. Two weeks ago Gage won the Mens Juniors 2014-2015 UCI Cyclo-cross World Cup in Koksijde, Belgium. Watching his growth through the junior programs has been amazing. 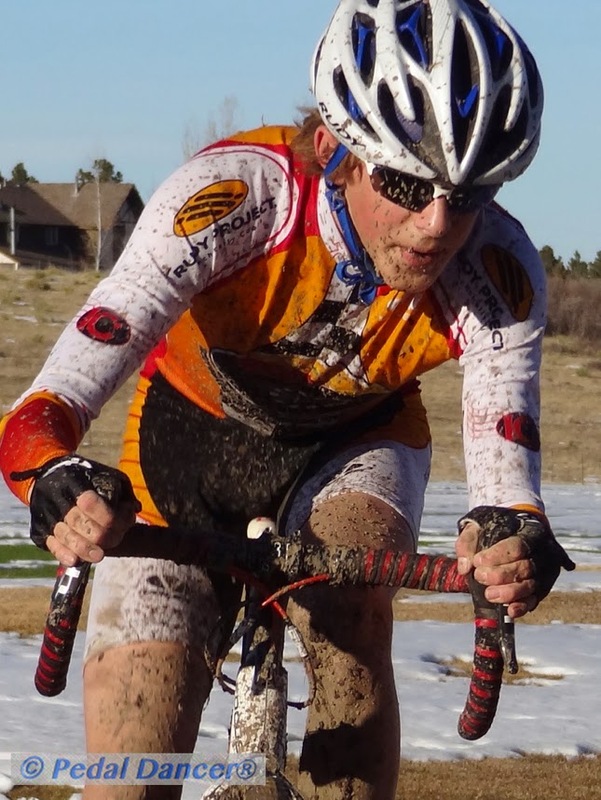 USA Cycling race report... "American Gage Hecht (Parker, Colo./Alpha Bicycle Company/Visit Subaru). The 16-year-old Hecht beat out three Belgian favorites for the win, crossing the line seven seconds ahead of second-place finisher."